ES-1GL kit, the neck is quite loose in the body of the guitar, not sure what to do here. Or how to post pictures? Welcome aboard John. I prefer to use Imgur to host images and hotlink them into the forum. Here is a guide I wrote up a little while ago. 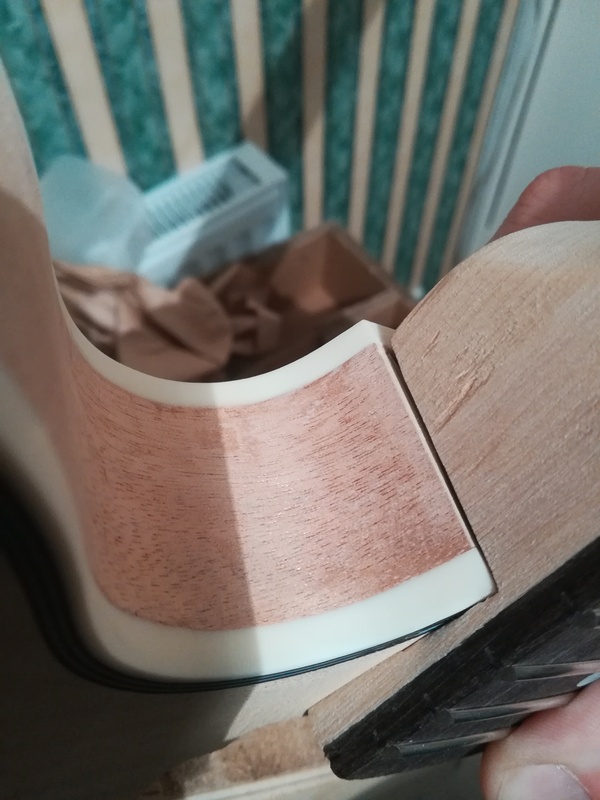 Some pics will be helpful, often with set neck kits, once the scale length is determined you need to pull the neck out slightly which tends to improve the fit. Otherwise a shim can be used tighten it up. If you get some images up I'm sure others who have built this kit will chime in with advice. Here you can see it better. When the bottom of the fretboard tenon is held at the floor of the pocket there is a 1 mm gap between the neck and the floor of the pocket at the top. Should I take some of the neck off under the fretboard to make it sit flat?